Wildland fires in the United States are becoming commonplace. 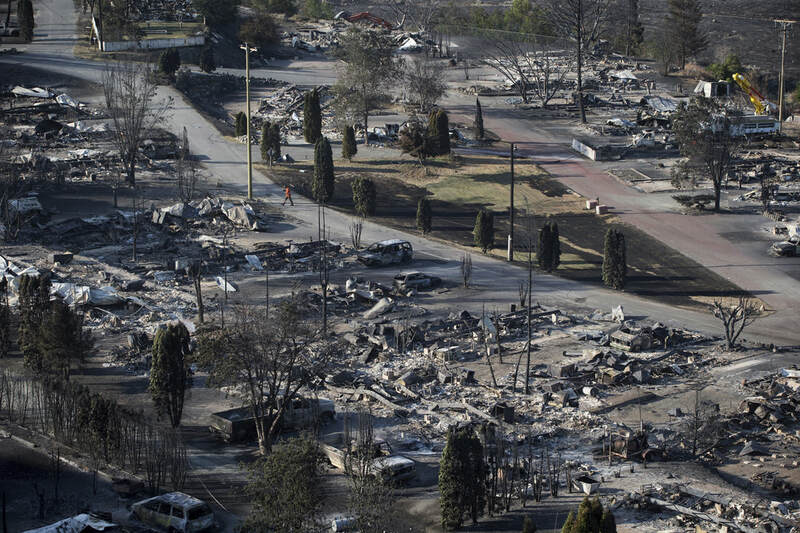 There have been significant fires all throughout the West and British Columbia in the last month with individual homes and even neighborhoods being lost to fire. In California, the wildland fire season is now year-round. Typically, the wildland fire season here in Washington begins in June and heats up in the months of July, August and September. While it is true that the majority of wildland fires occur east of the Cascades, the West Side is vulnerable. 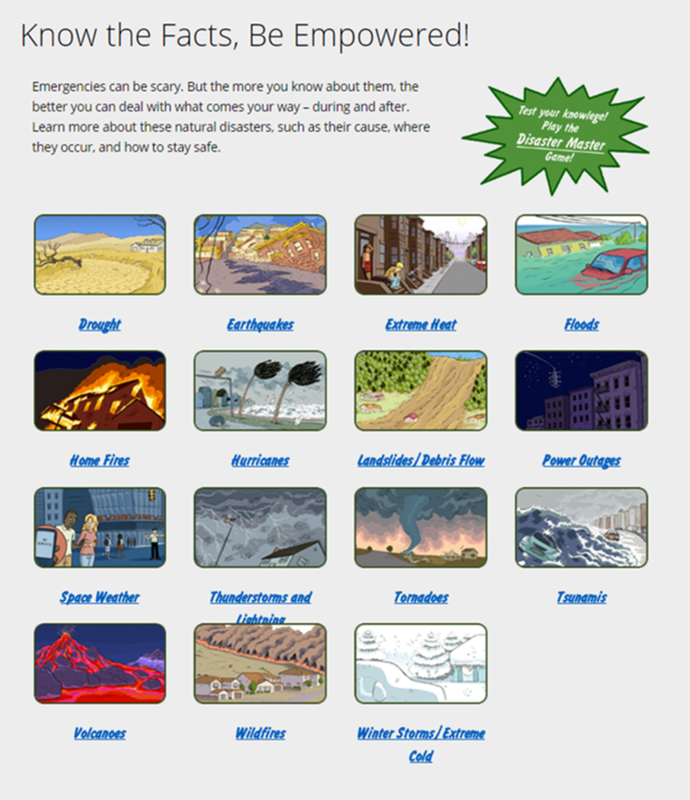 If you asked people to list the natural hazards and risks that we here in Western Washington should pay attention to, that list would likely include earthquakes, tsunamis, volcanoes, river and urban flooding, mud slides and the like. 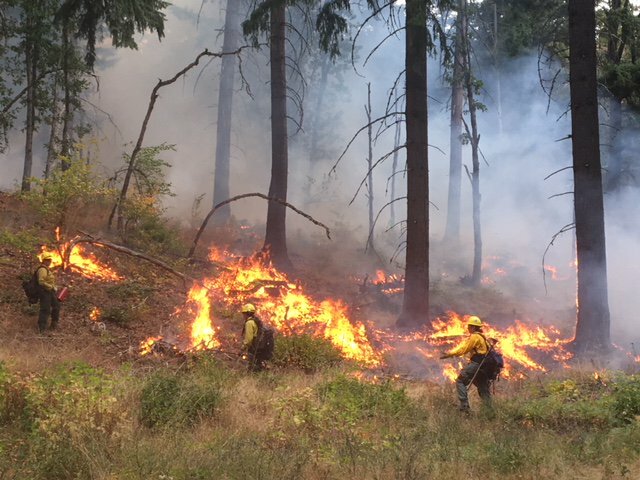 It is unlikely that many people other than firefighters and emergency managers would even mention the danger of a forest fire in Western Washington. What most people don’t realize is that the wildland fire risk is not confined to Eastern Washington. 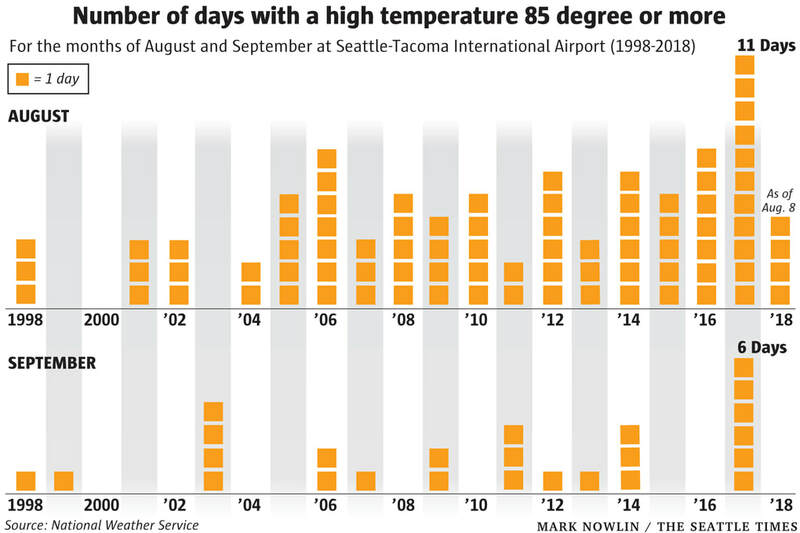 Ask any professional firefighter and they will tell you that each year we here in Western Washington during the months of July through September and into October are sitting on a ticking time bomb that will only be defused when our normally wet autumn weather returns. Until then, we will have an extremely high risk of a wildland fire extending into urban areas in all parts of Western Washington. The Washington State Department of Health is available to support you during this fire season. Here is an outline of resources. DOH webpages: Comprehensive webpages with frequently asked questions and a toolkit. You should be able to find the answer to most questions and links to other resources. Information on air quality: We are directing the public to the smoke blog and regional clean air agencies for local and regional updates. Air quality graphic: Updated graphic provides recommendations for the different color-coded air quality categories. Smoke from fires can be dangerous: Flyers for each of the sensitive groups and for the general public. Know your symptoms: Flyer to help the public identify the symptoms of wildfire smoke. Smoke and face masks: Our website has updated information on mask recommendations as well as fact sheets from L&I for employees. Translations: We translated most of these resources into the top 10 languages. Social media: Facebook and Twitter. Sign up for the DOH blog, Public Health Connection. Sign up for news releases and updates. Here is the school activity guide that provides recommendations for recess, P.E., and athletic events and practices during smoky conditions. Check the DNR Burn Risk Map for current fire danger in your county. Use our recreation map and click through to site-specific information on campgrounds or recreation sites closed due to wildfires. The cause of a fire being investigated by DNR may be available quickly, or may take several months, depending on complexity. DNR is using Washington National Gaurd assistance. Follow them on Twitter at @WANationalGuard, or facebook at @washingtongauard. For local details, such as evacuation information, road closures, or donation opportunities, consult with local sheriff and county emergency management services.